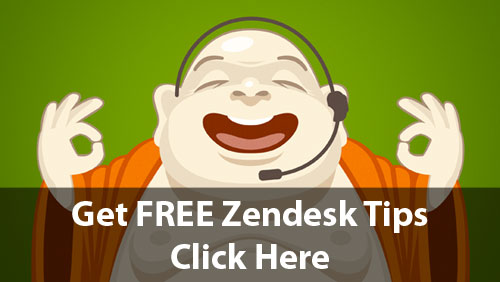 Do you ever get tickets in Zendesk that ask three or more questions in the same ticket? 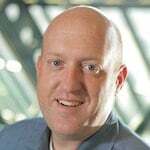 They can be a real pain to manage because you can lose track of which question is answered and which is still unresolved. 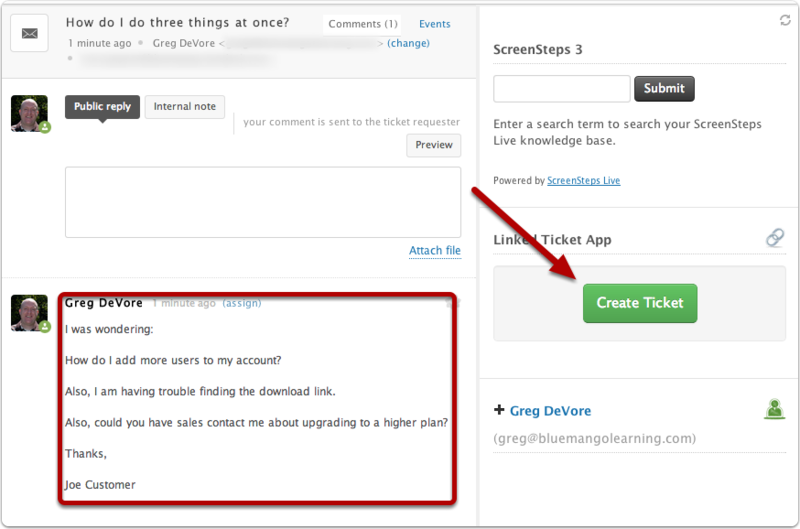 To solve this problem, there is a great Zendesk app that lets you create "Linked tickets." 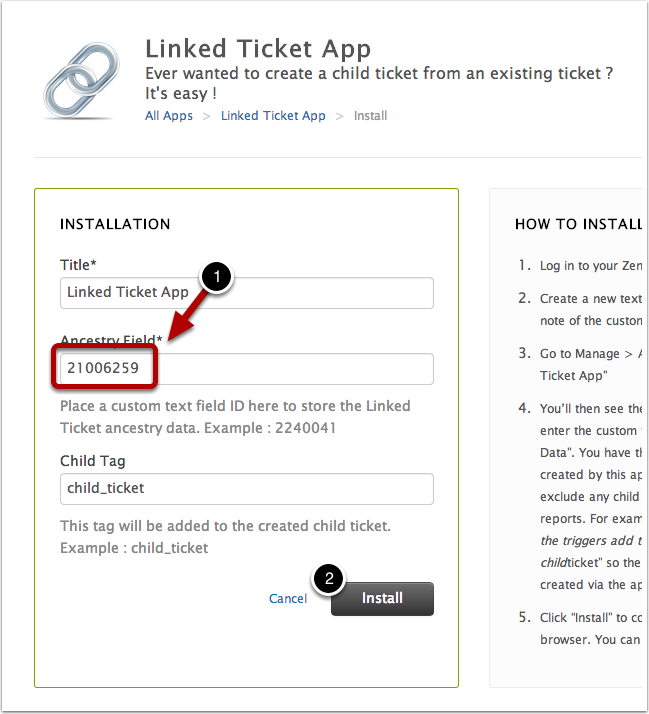 Basically, you split a ticket up into related tickets that all link back to the parent ticket. It's a great productivity tool but the setup instructions are a bit vague. So we went ahead and created the tutorial below to make it easier to set things up. Before you can install the app you need to do a little bit of setup. 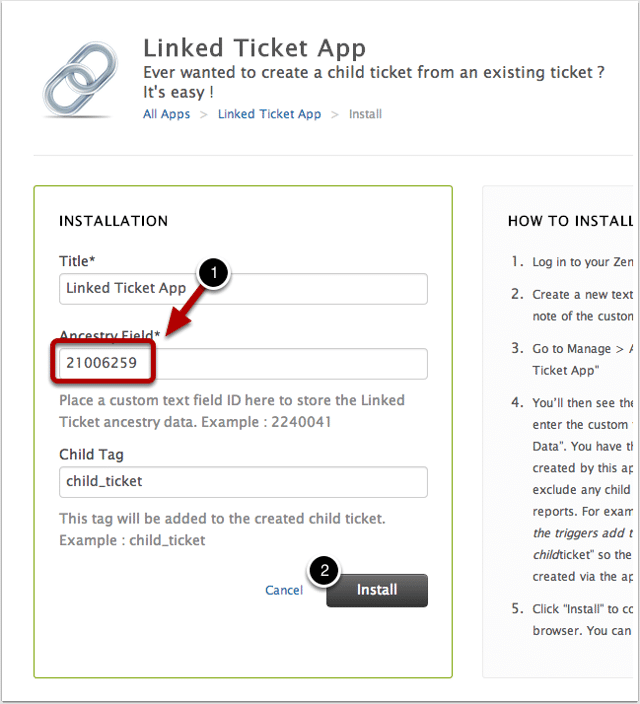 You need to create a ticket field that will store the id of the parent ticket. Here is how to do it. 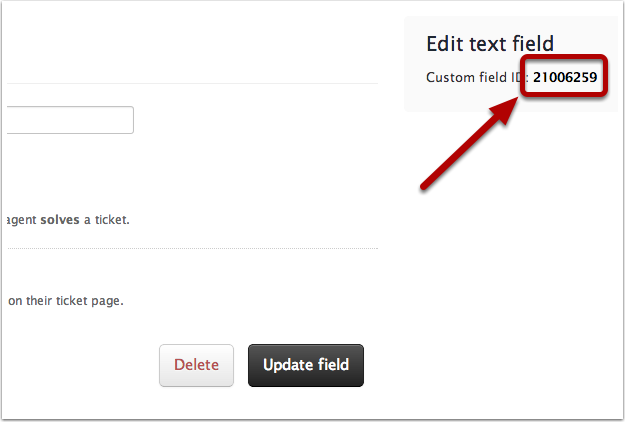 You want to choose a Text field type. 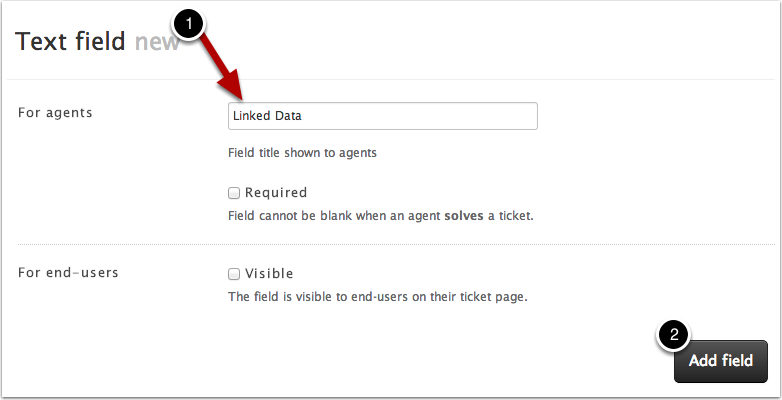 You will now see all of your ticket fields. But you need to get the id of the new ticket field you just created. So select edit. Remember that text field id you copied down earlier? You need it now. Enter it in the Ancestry Field field. The Child Tag is completely optional. Find a ticket where someone is asking multiple questions in the same ticket. 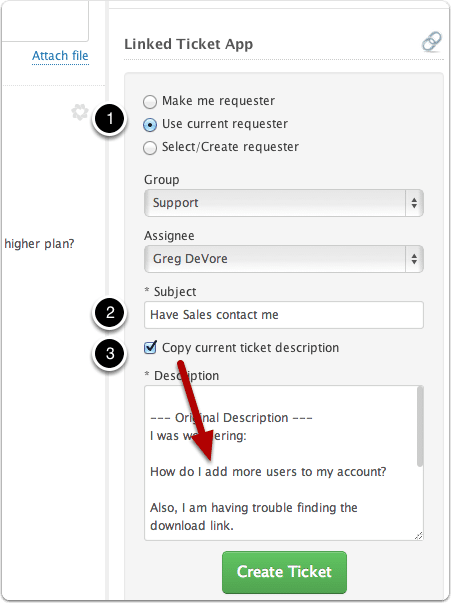 I keep the requester the same and then assign it to the right person at our company. 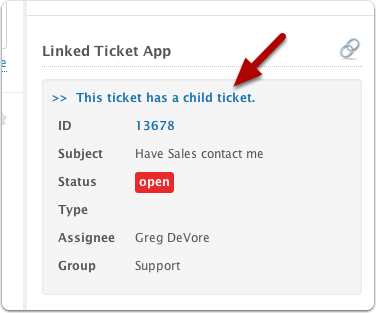 I give it a new title that identifies the part of the ticket I am splitting out. 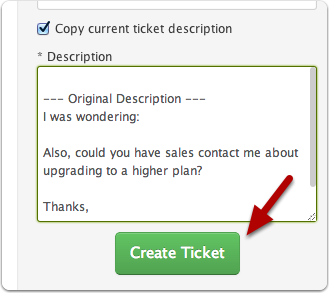 I check Copy current ticket description. 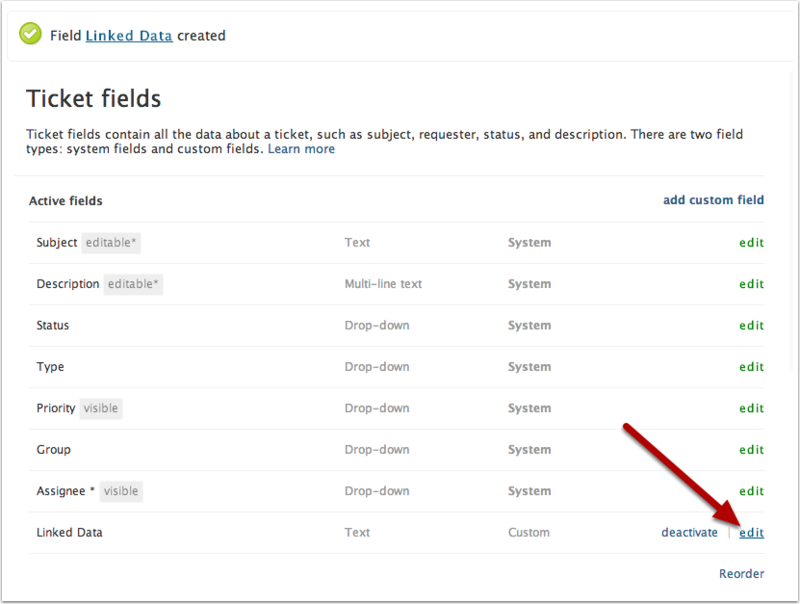 That will put the current description in the edit field. I can then delete the parts that don't pertain to this ticket. Here it is edited down. Then click Create Ticket. You will now have a brand new ticket. 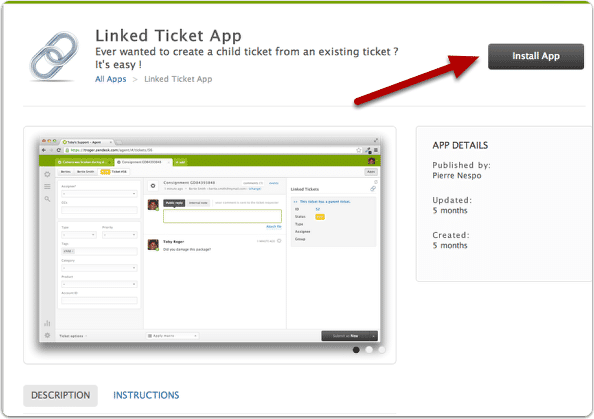 A link to the child ticket will appear in the sidebar. That's all there is to it. 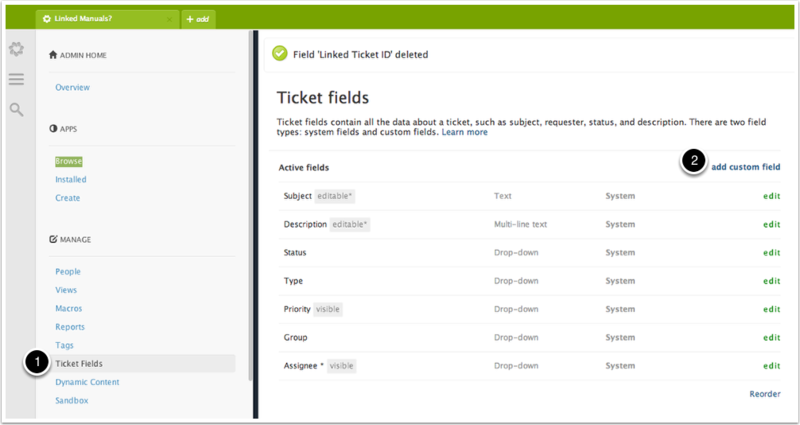 You can now easily split up complicated tickets and have the right people in your organization answer them. 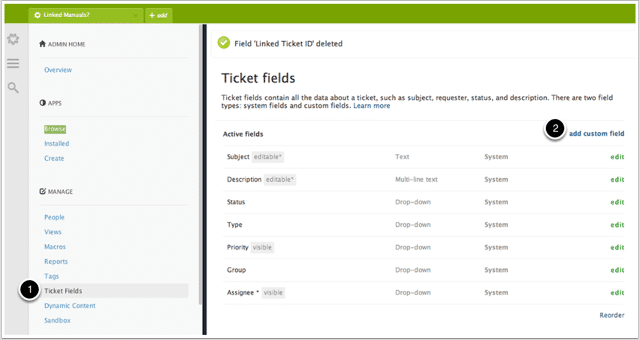 And if you want to get your team to fill up your Zendesk knowledge base with great content in less time, please take a look at our product, ScreenSteps. 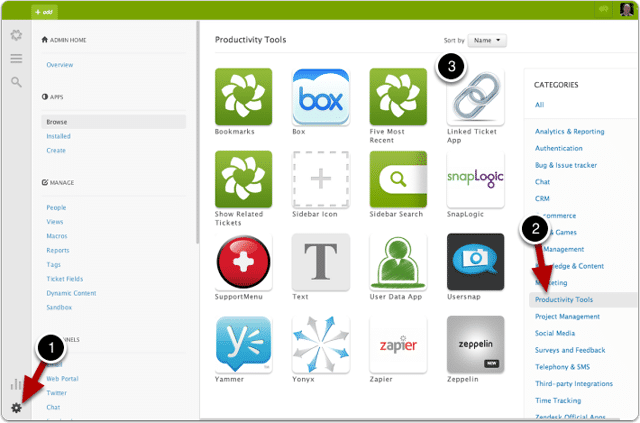 It lets your team collaborate on visual documentation and automatically publish it to Zendesk.